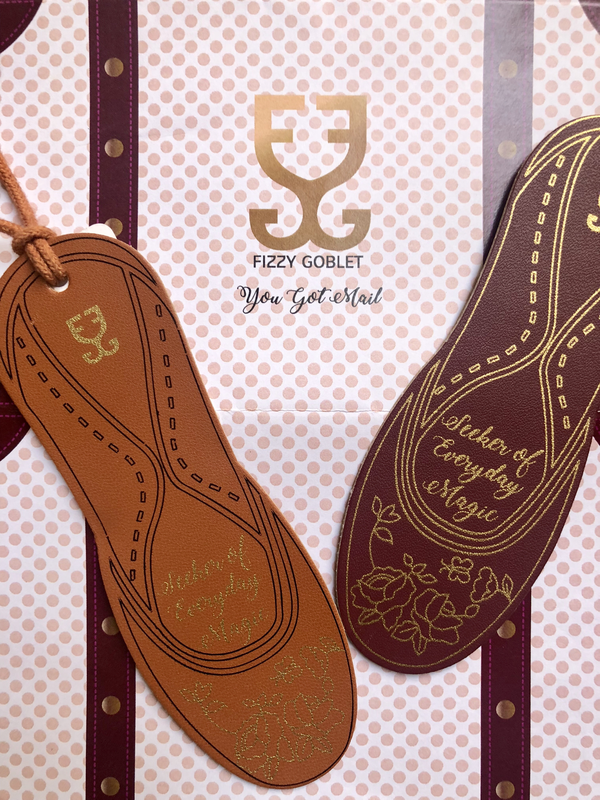 It’s that time of that month again where we say: “You’ve got (something extra in your) mail!” If you’ve called home a pair or two of Fizzy Goblet shoes, we have popped in a little surprise gift for you—luggage tags in the shape of a mini jutti! We’ve all been there, craning our necks near the baggage belt, looking at one generic black suitcase after another in hope to find ours. Make the struggle easier by hanging these easy-to-spot luggage tags around your bag. Made from leftover leatherette from our workshop, the tags are in three colours: wine, tan and black. Each mini jutti is about the size of your palm and has a little message inscribed—Seeker of Everyday Magic, and have loops made of laces. As part of our zero waste initiative, we like sending small things to you every now and then. In July, we made scrunchies made of leftover Fizzy G prints, and in August, we’d turned our laces into rakhis and bracelets. Through September, we’ll be sending you these leatherette luggage tags with each order placed. You can personalise these tags with your contact deets by using a marker on the back. 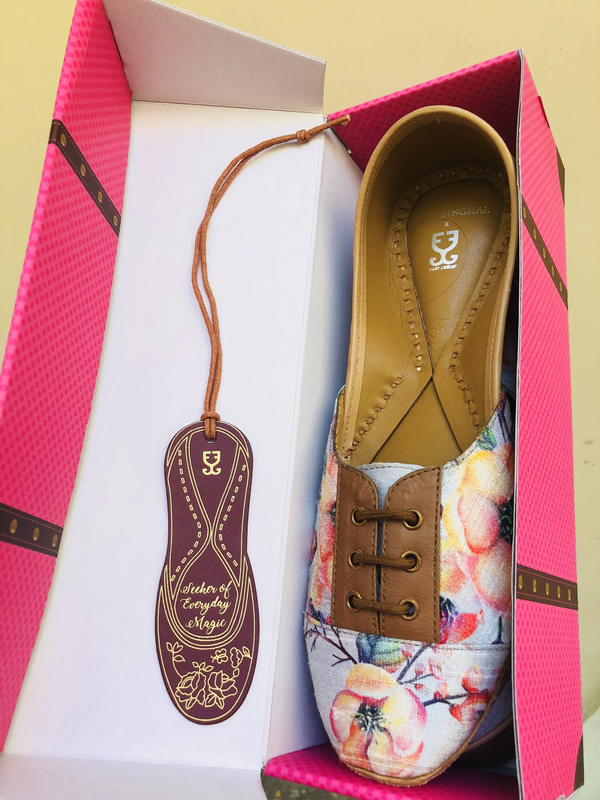 All you have to do is pick out a Fizzy G shoe, hang your luggage tag around your bag, and off you go on an adventure! Get your new Fizzy G pair here.